The U.S. Patent and Trademark Office has awarded Apple a patent for the design of the first-generation iPhone, released in 2007, and created in part by Steve Jobs and Jony Ive. 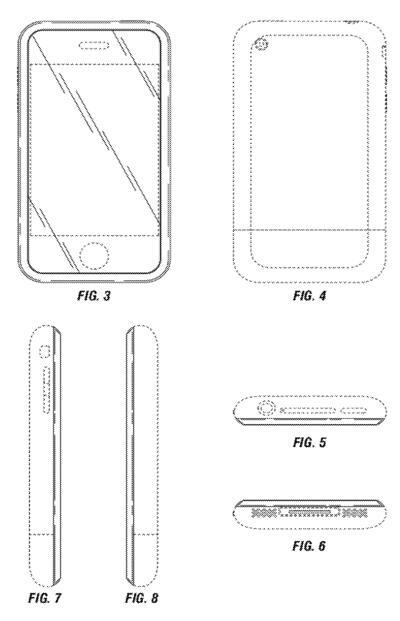 Apple on Tuesday was awarded U.S. Patent No. D672769, entitled "Electronic Device." Illustrations accompanying the design patent show Apple's iconic first-generation iPhone, which was introduced with much fanfare by Jobs, then the company's CEO, in 2007. The first iPhone featured a two-tone back that was mostly made of aluminum  a design element that the company would return to this year with the release of the iPhone 5 with a predominantly metal back. Apple's interim devices opted for different materials: The iPhone 3G and 3GS had plastic backs, while the iPhone 4 and 4S backs were made of glass. The basic design of the first iPhone, which shook up the smartphone industry with its finger-driven touchscreen, remains very similar to this day. Every iPhone model has featured a home button on the bottom of the screen and earpiece up top, with mute and volume controls on the left side, a lock switch on the top right, camera on the back, and speaker, microphone and data/charging port on the bottom. 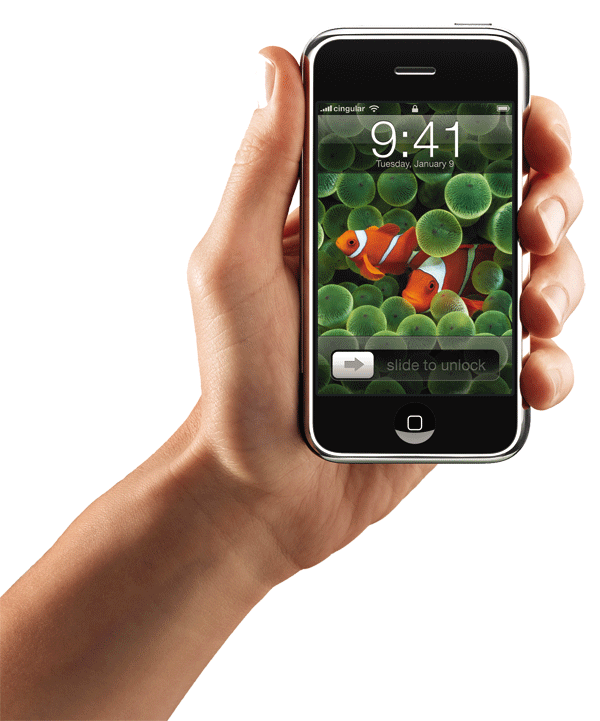 The first iPhone was introduced by Jobs at the Macworld expo in January of 2007. It eventually went on sale in June of that same year. Since then, the hype for each new iPhone model has only grown, and Apple's sales continue to break records. To date, the company has released one new iPhone model per year, and this year's model was the first to increase the screen size from the 3.5 inches seen on the first-gen model to 4 inches on the iPhone 5. In addition to Jobs, the company co-founder, and Ive, Apple's lead designer, the following individuals are credited with the design of the first-generation iPhone: Bartley K. Andre, Daniel J. Coster, Daniele De luliis, Richard P. Howarth, Duncan Robert Kerr, Shin Nishibori, Matthew Dean Rohrbach, Douglas B. Satzger, Calvin Q. Seid, Chirstopher J. Stringer, Eugene Antony Whang, and Rico Zorkendorfer.